I am excited to be a part of the 26th season of Starbound! Ignite Dance "Live" will be in Pittsburgh on Saturday, May 25th. Please join us for a wonderful day of showcasing amazing dancers and watching a filming of the new ALDC Team for Dance Moms Season 8. Doors open at 8:00am and the competition begins at 9:00am. Ignite Dance "Live" The Unconventional Convention. We have been asked to host the JoJo Siwa episode of Dance Moms in Pittsburgh. Exciting news for Labor Day weekend! I will be teaching at Shore Stop Dance Convention on Saturday, September 1. See you in Wildwood! I’ll be having Musical Theater Intensive at Studio L in Waldwick, NJ August 20-21. Call 201-444-3205 to reserve your spot! 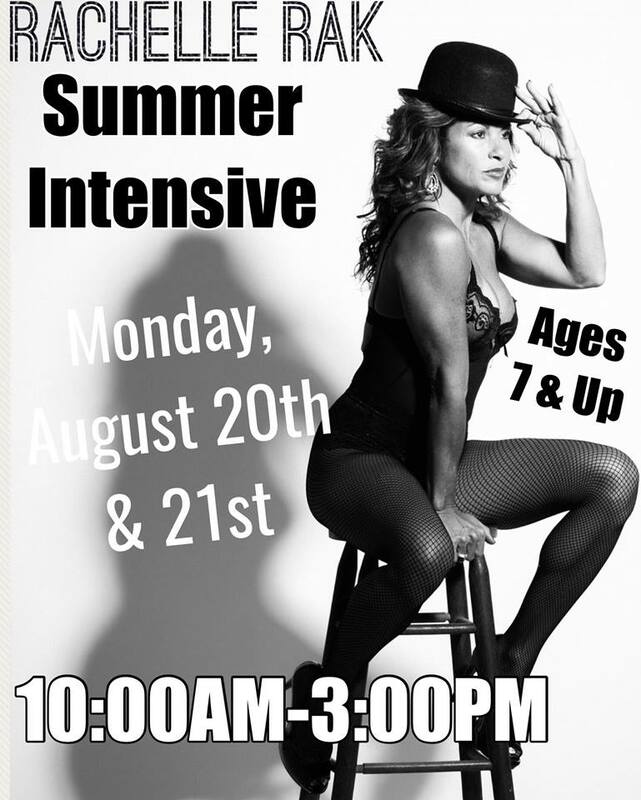 I am excited to be coming back to Robin Dawn Dance Academy on Sunday, August 12. I am excited to be coming back to TAME Dance Academy in Pembroke Pines, FL, for two master classes on Saturday, August 11. They are open to the public! 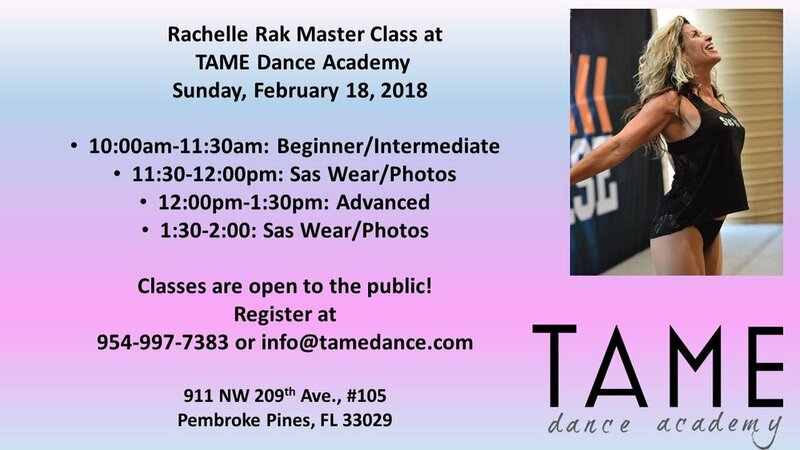 Register at: https://www.tamedance.com/ or call 954-997-7383 for more information. I will be teaching two classes at the Dance Teacher Summit in NYC. See you there! I am excited to be choreographing the opening number in every city for Nationals this summer! Miami, I will be having some master class at TAME Dance Academy on Sunday, February 18. All classes are open to the public! Sign up for the next session at Studio L. The Winter/Spring session begins on Wednesday, January 3 and goes until Wednesday, April 25. Private lessons are available now. Contact to Studio L to register at 201-444-3205 or at studioldanceco@gmail.com. I am excited to be teaching in my hometown of Pittsburgh on Sunday, November 19! 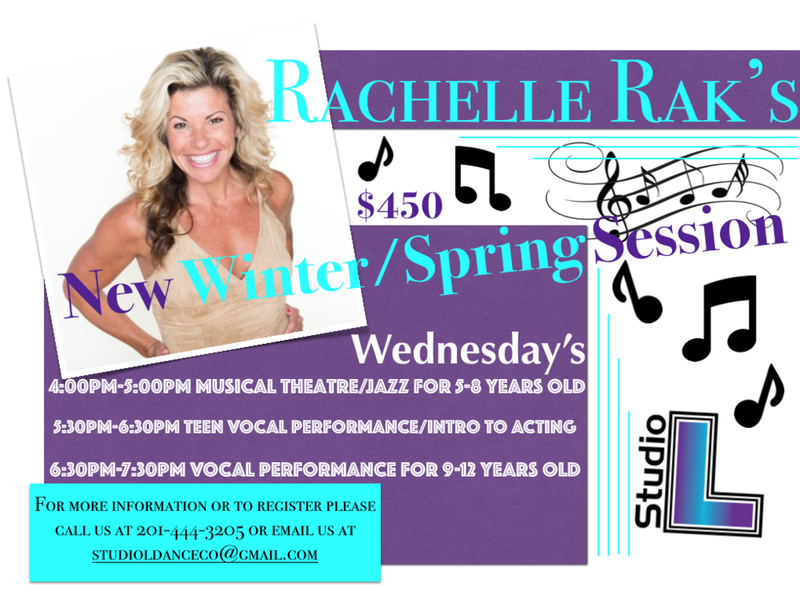 I will be having master classes at Center Stage Dance Academy and they are open to the public. To register, please call 412-366-6460. HIV Experience Resources Organization (HERO) will present the fourth annual Broadway & Ballet HERO Awards on October 16th at 8pm at Stage 48, 605 West 48th Street. This year's honorees are Broadway star and legend Rachelle Rak, and ABT principal and international ballet star, James Whiteside. Receiving the John Adams HERO Award for best Broadway debut is star of Wicked, Michael Campayno, and the 2017 HERO Partner Award will be presented to The Jed Foundation (JED) for protecting the emotional health of teens and young adults, helping them grow into healthy thriving adults. This spectacular event will feature 15 original performances and a cast of over 30 stars from the worlds of Broadway and ballet including: (honorees) Rachelle Rak (Fosse, Sweet Charity, Broadway Hero Awardee), Michael Campayno (Wicked, John Adams HERO Awardee), ABT Principal and International ballet star, James Whiteside (Ballet Hero Awardee), Casey Trenary (ABT Soloist), Michael-Leon Wooley (Little Shop of Horrors, American Buffalo, The Princess and the Frog), Michael Cusumano (All Shook Up, Chicago, American in Paris), Patrick Boyd (Grease, The Wizard of Oz, Gypsy, Touch: A Love Story), Sean Stewart (American Ballet Theatre), Alina Faye (American Ballet Theatre alumni), Jose Sebastian (American Ballet Theatre), Luis Villabon (A Chorus Line), Morgan Stinnett (soloist with Connecticut Ballet, member of Ajkun Ballet Company), Cristy Candler (Rock of Ages, Chicago), Georgina Pazcoguin (New York City Ballet Soloist), Brandon Leffler (Wicked, On The Town, Cinderella), Chris Messina (Jersey Boys, A Bronx Tale), Jesse JP Johnson (Wicked), Neil Starkenberg (Mamma Mia), Travis Nesbitt (Alter Boys), Seeley Stephens (American Idol Finalist), Evan Lacombe (The Christmas Spectacular at Radio City Music Hall), Gabrielle Salvatto (Ballet West Demi Soloist), special performances by principal dancers from Ballet West, Olympic Gold Medalist in Gymnastics, Icaurs-Ioannis Melissananidis, The Boy Band Project, the dance department of Pace University with an opening number choreographed by Madeline Rodrigue, and more! The show will be hosted by Matty Maggiacomo (Television Journalist and Brand Manager of Barry's Boot Camp), with technical direction from Tommy Mazza, produced by Stephen Leff. Sponsors include; Logo, NewNowNext.com, Biem- Biemteam.com (mobile phone STD care), DRA (Dancers Responding to AIDS), Broadway Cares/Equity Fights AIDS, and Hugh Hysell- TheMenEvent.com. Tickets are $25 for General Admission and $100 for VIP Seated and are available at www.hivhero.org. About Rachelle Rak: "Nicknamed "Sas", Rachelle began her dance training at the age of 2 under the direction of her mother, Rosalene, at the Rosalene Kenneth Professional Dance Studio in Pittsburgh. She is labeled a Triple Threat on Broadway for her immeasurable talent in dance, singing, and acting. Rachelle was presented with an award by Dance Educators of America for her contribution to the world of dance. She has had a huge impact on the Broadway Community. A few of her impressive credits, include leading roles in: "Fosse", "Sweet Charity", "Flashdance", "The Jack Cole Project", "Chicago", "A Chorus Line", "Catch Me If You Can"," Cats"," Starlight Express", "West Side Story", "Smokey Joe's Café", "Trip of Love", "Thou Shalt Not"," Oklahoma! ", "The Look of Love", "Dirty Rotten Scoundrels", "Sessions", and "An Evening at the Carlyle." Choreography Credits Include: Norwegian Cruise Lines , Off Broadway: "An Evening at the Carlyle" and "Sessions"-Additional Choreography, Lifetime: "Dance Moms", Fringe Festive "Vote the Musical" Benefits: "Broadway Bares", Concerts: Staging for Cheyenne Jackson-Carnegie Hall. Her One-woman show "I'm In" Le Poisson Rouge, Nightclub shows "The Love Fest", "Splash Around The World", "VaVoom,"and web series on Broadway.com" I Love Rak n Roll". About James Whiteside: James Whiteside joined the corps de ballet of Boston Ballet in 2003 and became a second soloist in 2006. He was promoted to first soloist in 2008 and to principal dancer with Boston Ballet in 2009. Whiteside then joined American Ballet Theatre as a Soloist in September 2012 and was named a Principal Dancer in October 2013. Whiteside's repertoire with Boston Ballet included Principal roles in George Balanchine's Theme and Variations, Coppélia, Ballo della Regina, Rubies, The Four Temperaments (Sanguinic), Tchaikovsky Pas de Deux, Who Cares?, Serenade, A Midsummer Night's Dream, Symphony in 3, and La Valse; Maina Gielgud's Giselle; Mikko Nissinen's The Nutcracker and Swan Lake; John Cranko's Taming of the Shrew and Romeo and Juliet; Marius Petipa's The Sleeping Beauty and Raymonda Act III; Antony Tudor's Dark Elegies; Jirí Kylián's Bella Figura, Sarabande, Petite Mort and Sechs Tänze; Twyla Tharp's In the Upper Room; Mark Morris' Drink to Me Only With Thine Eyes. He created roles in Jorma Elo's Brake the Eyes, Plan to B, Carmen, Slice to Sharper, and In On Blue; Helen Pickett's Eventide and Etesian; and Mark Morris' Up & Down. About Michael Campayno: A Pittsburgh native and recent graduate of Carnegie Mellon School of Drama, Michael Campayno made his Broadway debut in Wicked in the role of Fiyero. He debuted on television as Rolf in NBC's live telecast of The Sound of Music starring Carrie Underwood, and can be heard on the cast recording. His stage credits include Carnegie Mellon University productions as well as productions at Pittsburgh CLO; he also played Lancelot opposite Robert Sean Leonard in Camelot. Film: Cheerleader. About JED: JED is a nonprofit that exists to protect emotional health and prevent suicide for our nation's teens and young adults. JED partners with high schools and colleges to strengthen their mental health, substance abuse and suicide prevention programs and systems. JED equips teens and young adults with the skills and knowledge to help themselves and each other and encourages community awareness, understanding and action for young adult mental health. Learn More at jedfoundation.com. About HERO: HIV Experience Resources Organization (HERO) is a completely volunteer-based non-profit 501(3)(c) organization founded in 2009 by Michael Cavnaugh, former vice president of Event Presentation at Madison Square Garden. HERO helps people find the most pressing, up-to-date information available critical to their heath, including sharing extensive video coverage from current national and international AIDS conferences. HERO's websites, HIVhero.org and HEROnews.org, provide local, national, and international resources and interactive tools which provide assistance in: finding doctors, getting medication, mental health counseling, housing, financial assistance, medical insurance, and much more. It also serves as a portal site providing free content and video production, promoting the services, activities, and fundraising efforts of many community/partner organizations, including red carpet coverage of high profile events and one-on-one interviews. Seen throughout their video archive and messaging, HERO founded the #condomsarehot movement, with the help of stars such as Angela Lansbury, Matt Bomer, Mary Louise-Parker, Rosie Perez, David Hyde Pierce, Bebe Neuwirth, Blythe Daner, and many more to build more awareness for sexual health and STD prevention. I am excited to be coming back to Broadway Workshop's Excel Teen Intensive from August 7-11. You will get hands on training in dance, acting, and singing. I am excited to be heading back to Dancerpalooza this year in Long Beach, CA from July 31-August 6. I am happy to be joining my Starbound Family at the following Nationals this year. I will be the celebrity guest judge at the Talent America National Finals in New York City on Saturday, July 8! So excited to be judging at Starbound in Bridgewater, NJ from February 24-26, 2017. Starbound encourages you to dream big, dance hard, and celebrate your talent. So excited to be judging at Starbound in Paramus, NJ from February 10-12, 2017. Starbound encourages you to dream big, dance hard, and celebrate your talent. These master classes are open to the public, so if you are in the Pittsburgh area, I hope to see you there! You can register by calling 412-366-4134. Don't miss out on NYDE in Boston on November 19-20, 2016 at Dean College.